I always liked having an advent calendar when I was a kid. Ours was made of fabric and went over the door to the dining room, so it was right by the kitchen table, and it had a stuffed mouse that we moved from numbered pocket to numbered pocket as December progressed. I was always jealous of the kids whose parents got the cardboard ones with candy, but I think even then I knew my brother and I would have a hard time sharing something there was only one of every day, so I never even asked for one. 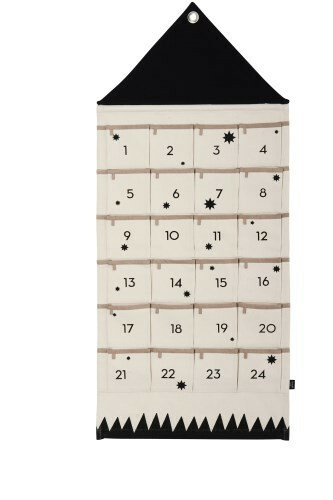 I’ve been coveting this one from Ferm Living, but didn’t get it together to order it this year. At first I balked a little at the price, but for a beautifully designed object that I’m going to use for the next however many decades, I think it’s fine. So this year, before I get it together to get a permanent one, I decided to go the cheap, fun, and disposable route. And what’s the most cheap, fun, and disposable craft supply? Balloons. Balloons are categorically the cheapest, most fun, and are, by their very nature, ephemeral, so disposable. 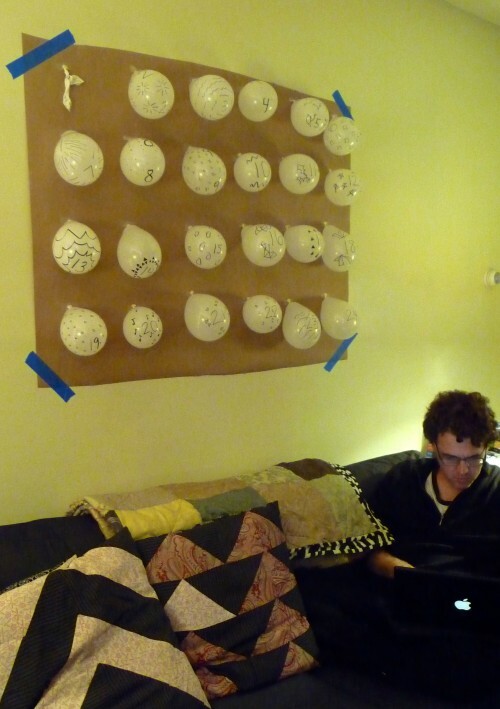 Just tape a big piece of kraft paper to the wall, blow up 24 balloons, number and decorate them with a sharpie, and tape them to the paper. Pop one every day, then toss the whole thing. This looks like so much fun! Totally brilliant.